Isn’t the weather just lovely..I mean I can’t remember the last time I was in a good mood because of the weather so a whole week of sun has to be special right? After a couple of trips to town here and there I’ve picked up a couple of bits and bobs, which I thought I’d share with you. I love going shopping, if you want clothing haul do let me know as I cannot stop buying clothes (someone stop me) . 5 Pack metallic elastic hair bands – Primark. I have seen these everywhere and just never had the chance to grab them, but finally I did and they’re so groovy. I mean they’re metallic what’s not to love! They’re perfect to get summer ready!!! 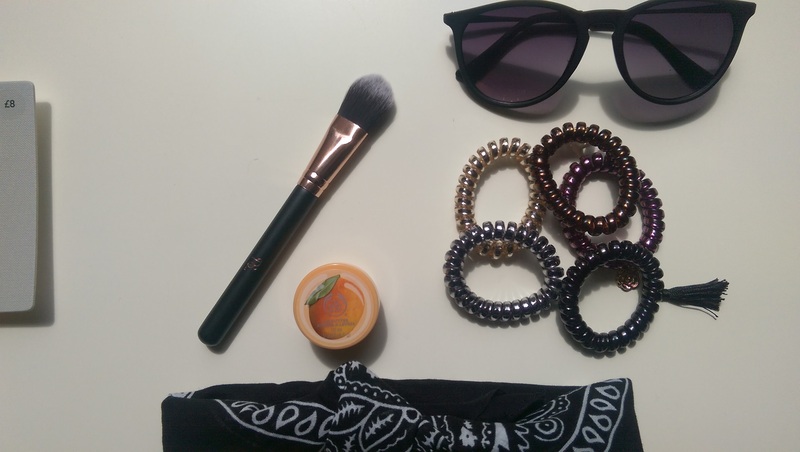 Black retro sunglasses – Primark. I had to pick up these I mean I just couldn’t leave them they’re super cute and I love the frame! It’s very rear I find sunglasses that suit me, they’re perfect! Foundation brush – Primark. I bought one of these a couple of months ago and I honestly couldn’t fault it, I saw that they had a slightly different one to the previous ones so I had to grab it! 8 Pack silver earings – Next. As you all know I have various piercings on my ears and I needed some pretty silver earings and these were perfect they’re so girly and can match every look and style! 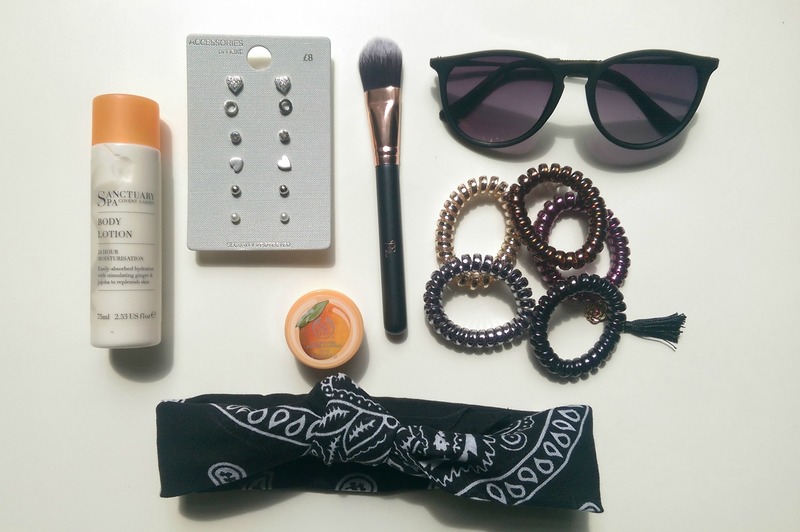 Black bandana – Claire’s. I’ve been loving my navy blue bandana so I had to purchase a black one so it can compliment the majority of my outfits, it’s a essential in every girls wardrobe! 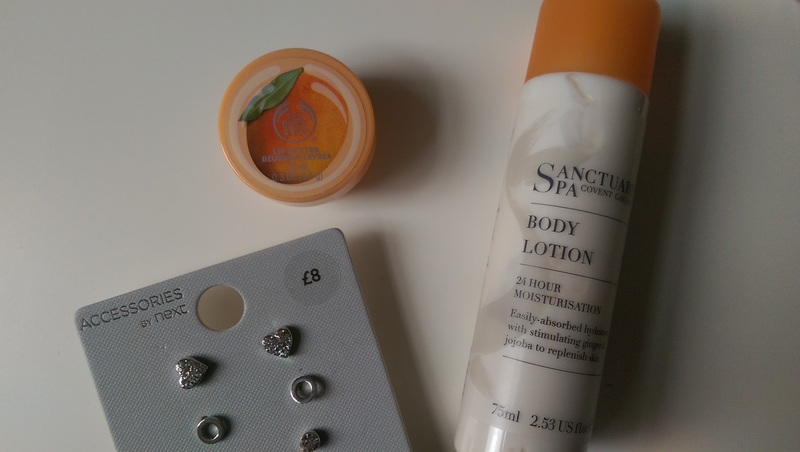 Sanctuary body lotion – Boots. I love this body lotion as I’ve used it previously it smells and feels unreal on the skin, everyone needs to try it, seriously! 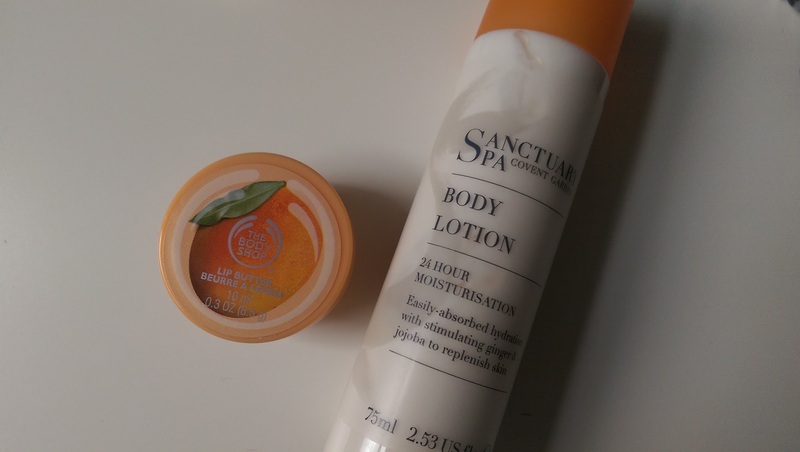 Mango lip butter – The body shop. I love mangoes and now I have this I couldn’t be happier! Its moisturizing and smells so good! I hope you enjoyed this post and are enjoying the lovely weather! What are you loving this summer? Comment below.